Earlier today we published the full transcript of an engrossing, detailed interview we had with Facebook CEO Mark Zuckerberg that focused primarily on the social network’s mobile plans. During our conversation, he talked about how Facebook would ideally like to make your entire phone social: enter your login information once, and your apps should know about your interests and who your friends are. Compelling as that may sound (assuming you aren’t concerned about any potential privacy issues), there’s still a big roadblock to seeing it come to fruition: Facebook would need to have deep access to the phone’s OS to make this happen. Mark Zuckerberg: For platforms that are really important, but are hard to penetrate, like iPhone, we’ll just do as much as we can. For Android, we can customize it a bit more. Other folks are going to want to work with us on specific things. But, our goal is not to build a phone that competes with the iPhone or anything like that. And Facebook isn’t about to build its own operating system from the ground up, because that would be a time and resource-consuming endeavor. Which leaves… Android. Google’s mobile operating system is famously open-source, which means that other companies like Facebook are free to tweak it to their heart’s content, revamping the UI or even adding a new social layer, while leaving the nuts and bolts that make the phone tick in place. 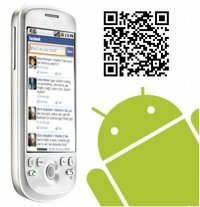 Mucking with Android code could preclude Facebook from being able to include some of Google’s Android applications, like Gmail and Android Market — Google has tighter restrictions on who can bundle these apps — but that may not be a dealbreaker for the social network, especially if it’s looking to make the phone a Facebook-centric experience. Mark Zuckerberg: I mean, who knows, 10 years down the road, maybe we’ll build our own operating system or something, but who knows. That is more history than we’ve had so far with the company, so it is really hard to predict that far out. But for now, I think, everything is going to be shades of integration, rather than starting from the ground up and building a whole system. Jason Kincaid: So, it sounds like a customized version of Android seems like the best thing, the deepest integration you could do without building your own operating system. Michael Arrington: Is that putting words in your mouth? Mark Zuckerberg: No, I mean, we’ve looked a bunch of different technical things. I know if we were going to build an operating system, then we wouldn’t have anything to talk about for 4 years. And I know we didn’t start 4 years ago, so I know we’re nowhere near anything on that. What I can say generally is that our goal is not to build an operating system from scratch, or else not to design hardware from scratch. Our goal is to make it so that we can design the best integrations in the widest variety of phones. And to add even more fuel to the fire: as I wrote this, Bloomberg published a report stating that “Facebook Inc. is working with mobile-handset manufacturer INQ Mobile Ltd. on two smartphones that may be carried by AT&T Inc.,” which are “slated to run Google Inc.’s Android operating system”.